As the world has seen in the past few weeks, Israel has been under attack again by the terrorist group Hamas with a deluge of rockets, mortars, and missiles from the Gaza Strip. Fortunately for Israel, it is armed with its short-range anti-rocket system known as Iron Dome. Iron Dome, which was deployed in 2011, is designed to intercept very short-range rocket threats between two and forty-five miles. Iron Dome’s selective targeting system and radars detect and destroy incoming projectiles that threaten population centers by utilizing Tamir interceptors. In addition to the Iron Dome, Israel currently has an X-Band radar system and is developing a short/medium-range system called David’s Sling, the Arrow Anti-Missile System, and a higher-altitude missile defense system. All of these projects are progressing with the technological assistance and funding of the United States. The United States has been the top supporter and funder of Israel’s missile defense systems, which began in May 1986 with the signing of a memorandum of understanding between the two countries that recognized a joint effort to develop an indigenous Israeli capability to defend against ballistic missiles. U.S. funding for these programs is broken into two groups; Iron Dome and the Israeli Cooperative that includes Arrow II, Arrow III, and David’s Sling. These programs are vital for Israel’s security now and in the future, as surrounding threats become more challenging. The recent shelling by Hamas has not been the first instance where Israel has had to use Iron Dome to intercept a barrage of incoming artillery from the Gaza Strip. The last major conflict between Hamas and Israel took place in November 2012 after eight days of violence ended with a cease-fire. This episode demonstrated the effectiveness of Israel’s missile defenses in protecting its citizens from those who seek the destruction of the Jewish state, like Hamas. According to an article by The Wall Street Journal in November 2012, the Israeli military stated that Iron Dome had a success rate of 84%. This outcome allowed for the program’s expansion and improvement with U.S. assistance, which has carried over to the gains that Iron Dome has shown in the recent fighting between Israel and Hamas. As referenced by Reuters in July 2014,Iron Dome has shot down around 90% of Palestinian rockets during the current conflict. Israel’s ability to intercept a majority of the rockets fired from the Gaza Strip has had a strategic influence on how Israel approaches its strategy against Hamas. The state of Israel has been in conflict with Hamas since 2006 and with their weaponry much more advanced now than it was eight years ago, it is essential for Iron Dome to be supported by the United States to ensure the protection of its most important ally in the region. Israel has been considered as a “major non-NATO ally”, or MNNA, since 1988, which is defined under section 644(q) of the Foreign Assistance Act of 1961. Having MNNA status allows Israel to have consideration of technology transfer requests, access to excess defense articles, and can be included in an array of bilateral and NATO-led training exercises. In March 2014, the U.S. House of Representatives passed the U.S.-Israel Strategic Partnership Act of 2014, which would elevate Israel’s status to a “major strategic partner”. Members of Congress have publicly supported this bill and stated how Israel has continued to demonstrate itself as a strategic partner to the United States. After the bill passed the House in March, Congressman Trent Franks (R-AZ) stated that “Israel’s importance as a major strategic partner has been demonstrated time and again…Unfortunately, this Administration has consistently failed to recognize that fact, often alienating allies like Israel while catering to our enemies”. A recent example of the administration’s lack of support for its ally has been its request to decrease funding for Israel’s missile defense systems for the upcoming fiscal year. According to President Obama’s budget proposal for FY2015, the administration wants to cut funding for joint missile defense programs with our longtime and strategic ally Israel. The President’s proposal has a funding reduction for Israel’s missile defense programs of over $200 million for the next fiscal year. The administration’s budget request cuts nearly $187 million in Israeli Cooperative and about $45 million from Iron Dome. The House version of the National Defense Authorization Act for Fiscal Year 2015 that passed in late May 2014, requested funding for Israel’s missile defense programs that included $340 million more than the administration’s proposal. The President refuses to increase U.S. financial support for Israel’s programs, despite the current and emerging threats that surround Israel. Israel relies heavily on Iron Dome and the programs within Israeli Cooperative for its national security. Iranian-backed Hamas continues to threaten the security of Israel’s borders and its people. As reported by the BBC in March 2014, Israel intercepted a shipment of M-302 surface-to-surface missiles from Iran that were destined for Hamas in Gaza. In addition, Iran continues to develop missiles that have the capability to strike Israel. Advancing Iron Dome and Israeli Cooperative can provide Israel with capabilities that will prevent these threats from causing significant damage to the Israeli homeland and possibly deter them from attacking Israel altogether. It is likely that these types of clandestine operations involving Hamas and Iran’s progression of its missile program will not subside anytime soon. These ongoing threats bolster the case for continued U.S. funding of Israeli defense systems. Providing Israel with America’s full support to assist with its deterrent and protection against incoming rockets and artillery from enemies is in the interest of both countries. Joint missile defense cooperation strengthens the deterrence posture of both the United States and Israel. 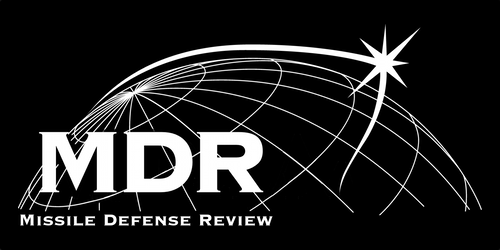 As part of the administration’s Ballistic Missile Defense Review Report of 2010, “The United States, with the support of allies and partners, seeks to create an environment in which the acquisition, deployment, and use of ballistic missiles by regional adversaries can be deterred, principally by eliminating their confidence in the effectiveness of such attacks, and thereby devaluing their ballistic missile arsenals”. The most prevalent regional adversary that would most likely be deterred is Iran. America’s support for Israel’s defense systems may deter Iran from interfering in regional affairs that go against the interests of the United States and Israel. Moreover, these systems might also prevent Iran from deciding to modernize missiles targeted at Israel. Successful Israeli missile defenses have the opportunity to make Iran’s support for terrorism less effective, while eliminating its ability to strike Israel if a military conflict were to arise. Israel is located in a dangerous neighborhood and it requires the most capable defenses to assure its survival. The United States should demonstrate its commitment to Israel’s security by boosting its missile defense funding and preserving Israel’s Qualitative Military Edge. Click here to see videos of Iron Dome in action. This entry was posted in Asia, Budget, International Relations, Iron Dome, The White House and tagged Arrow 3 Defense System, ballistic missile defense review, David's Sling, featured, Gaza Strip, Hamas, Israel, NATO, Palestine, President Barack Obama, Trent Franks. Bookmark the permalink. Israel is a major strategic partner, but so is Japan, Germany, Saudi Arabia, and the ROK, and while they may not have the crisis dejour, a long term investment strategy that works toward making missile defense systems interoperable or integrated is more important than singularly augmenting the defense coffers of one country, regardless of how great an ally. Critical to our international engagement as stated in national security strategy is enabling allies to provide for their own defense – our allies (Israel in particular) have very capable militaries and have a greater interest regional defense because to them it’s homeland defense. This strategy was explained well by Deputy Assistant Secretary Tom Kelly: http://www.state.gov/t/pm/rls/rm/2014/225003.htm. This administration has advanced foreign military sales to record breaking levels by reducing regulatory barriers and allowing senior leaders to advocate US capabilities by US companies. While doubling Iron Dome funding would be fantastic in an ideal world, doing so either negates efforts by Defense organizations to find efficiencies by simply throwing more money at the problem, or it takes funding from programs which already have had to tighten their belts due to sequestration and an obstructionist mentality by those who would rather see the government shut down than make hard compromises. Israel is a proving ground in many ways, and not just in active defense. Operation Pillar of Defense demonstrated how missile defense provides expanded decision space, but the current conflict demonstrates the other side of air and missile defense doctrine – that offensive strike is very much part of the equation, and arguably the more effective form of countering air and missile threats due to the sheer volume inherent to rockets, artillery, mortars, ballistic and cruise missiles. While most of us who follow the MDR love missile defense like we love mom and apple pie, what Mr. Richards is suggesting ignores the bigger picture and takes a Cold War-era mentality toward defense dollars, which is neither sustainable or necessary. In rebalancing to the 21st century, this administration focuses on “irregular warfare capabilities, space, cyberwarfare, air supremacy, maritime dominance and missile defense”, all of which are critical to ensuring the countering air and missile threats as operationally effective and sustainable. They have also taken the approach that when it comes to national security, the economy matters and his recovery strategy has apparently been succeeding.